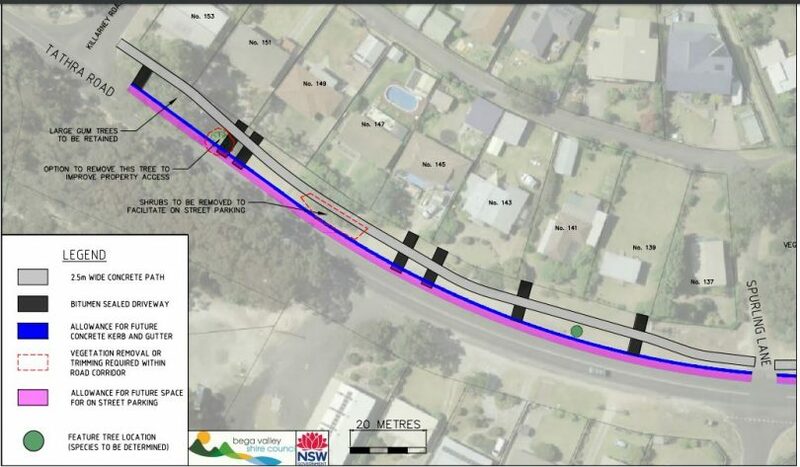 Residents along Bega Street at Tathra have raised a number of questions about the proposed bike track. Photo: Ian Campbell. The communities excitement around the development of the Bega Tathra bike track is undeniable, the recent arrival of two drop-in bridges at the intersection of Sapphire Coast Drive and Tathra Road has only added to the excitement for many; a sense that this long talked about project is happening. However, as the project picks up momentum, the reality of the plan has raised some questions for residents living along the proposed route. 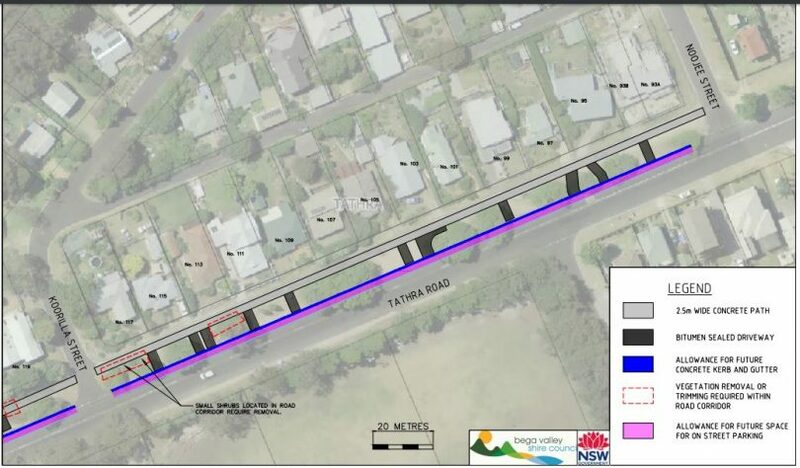 Stage one will cost $3 million and connect the existing footpath on the southern side of Tathra Road near the bus stop in Kalaru and travel 4.6 km to its start/end point at Noojee Street on the northern side of Bega Street, Tathra, just near the primary school. A number of residents along the Bega Street section in Tathra have written to Bega Valley Shire Council with questions and concerns about the plan. Some of that correspondence has been supplied to About Regional. All generally support the idea and there is a desire not to be seen as “anti-bike path” by raising questions. Cost associated with using the northern side of Bega Street. “Council is using precious funds to seal more than 30 driveways when there appears to better options,” one resident wrote. Rider and driver safely along Bega Street where bikes and cars are crossing driveways and sharing the space. 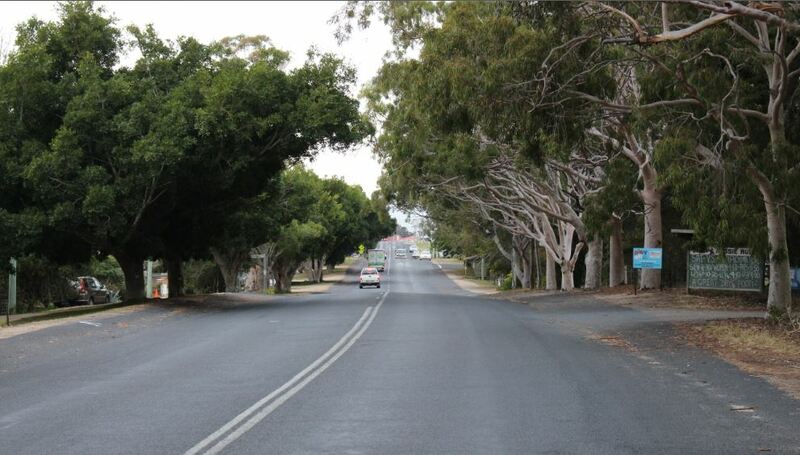 The possible removal and impact on the existing fig trees along Bega Street, “Which have provided amenity for many years.” Residents have also suggested the trees buffer traffic noise and provide privacy. In their correspondence, some of the residents have suggested using the southern side of Bega Street adjacent to Lawrence Park. Along Bega Street, Tathra from Noojee to Koorilla Streets. Photo: BVSC. 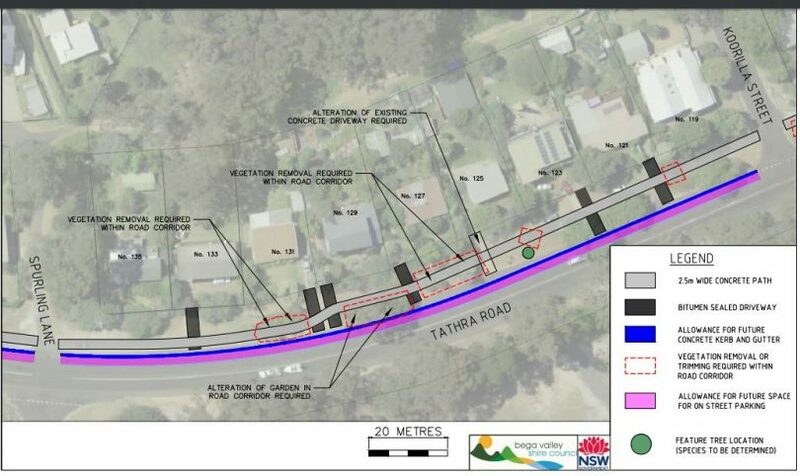 “Council recently wrote directly to residents along the proposed Tathra-Kalaru Bike Track to provide an update on the project and an opportunity for them to provide their feedback on the draft design,” a spokesperson says. “The project team have been very encouraged by the time and thought that has gone into the responses received. Along Bega Street, Tathra from Koorilla Street to Spurling Lane. Photo: BVSC. “Many of these raise considerations or concerns that have been already been addressed in the design, however, all information collected during this public exhibition phase will be collated and inform the final design,” Council says. Along Bega Street, Tathra from Spurling Lane to Killarney Road. Photo: BVSC. Doug Reckord has long advocated for the bike path and is the secretary of the Bega Tathra Safe Ride Committee. “The plan is out for public comment at the moment and I encourage anyone interested to have a look and take part in in the process,” Mr Reckord says. “From my perspective, the wide Council-owned road corridor along Bega Street gives a great opportunity to provide a safe, attractive shared path that can be used by cyclists, pedestrians, mobility scooters, everyone. “The proposal is aligned to the Bega Valley Bike Plan, which was developed by Council in 2012/13 after extensive community consultation. “We have been having regular meetings with Council staff since 2015 and thank them for their enthusiastic support over the past three years. “Everyone is being given an opportunity to contribute suggestions and we are working with Council staff to organise an information session just before our next Bega Tathra Safe Ride meeting,” Mr Reckord says. That information session will run 5:15 pm to 5:50 pm on Tuesday, August 14 at the Bega Valley Commemorative Civic Centre. $3 million will be spent on stage one of the Bega Tathra bike track. Photo: Ian Campbell. The current council timeline has construction of the path starting in late 2018 with completion by mid-2019. The long-term aim is to extend the track all the way into Bega, however, that is contingent on further funding becoming available. Stage one from Tathra to Kalaru is entirely funded by a $3 million grant from the NSW State Government under the 2017/18 Active Transport Program. 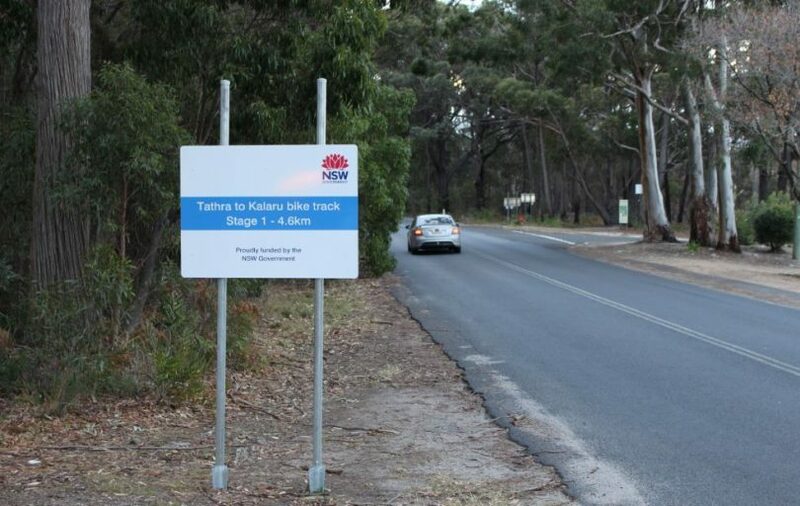 To look at the plans and offer feedback go to council’s Tathra to Kalaru Bike Track website. Consultation should hopefully prevent litigation.